Home Adobe Lightroom digital featured hybrid photography pocket scrapping tutorial workflow How to add a few more hours to your day! How to add a few more hours to your day! Before I upgraded my Lightroom software, It was taking too many hours, that I didn't have, just prepping my photos for print each week. There were not enough hours in the day and I needed to figure out a way to add a few more hours to my day by speeding up my photo preparations routine. I wanted to get to the fun stuff, the creating and story telling. 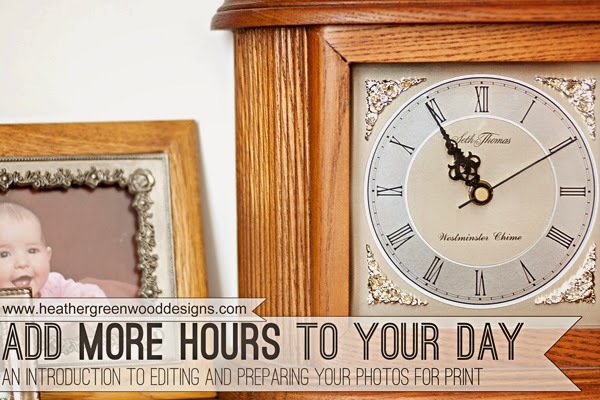 In this series, I'm going to show you how Adobe Lightroom added more hours to my day. I'm so very excited to share this series with you. I have had Lightroom for several years, mostly just so I could see my RAW files. It was about a year ago that I learned some features that ended up literally shaving hours off my photo print preparations every week. I instantly fell head over heals in LOVE with Lightroom and decide to save up enough money to upgrade my Lightroom 2 to the newer version. The best part was that as soon as I had saved up enough, the Lightroom 5 Beta came out. This meant I could try it for awhile before buying it. I'm going to confess that my weekly photo preparations were literally making me cry. It was taking 3-4 hours to prepare my photos, even with templates. I was stressing out because with homeschooling one child and keeping two very active boys from getting bored, I didn't have 3-4 hours to spare. Did I mention that we had ballet on Monday? If I were to get my photos to Costco an hour before Mark was to go shopping, I had to sacrifice eating dinner with my family and sacrifice time with my middle child while my youngest napped and oldest got ready for ballet. It broke my heart and the stress brought me to tears. I didn't want to give up my weekly project though, so I needed a better solution. That's when I watched this video at 2 Peas in a Bucket and I found my solution, or so I thought! Oh bummer, Lightroom 2 doesn't do those cool features. I needed to upgrade, STAT! Once I upgraded, I was able to pull together the templates I wanted to use and now my photo editing process takes less than an hour. I do things slightly different than that video and in this series. I will show how I import all the photos from all of our cameras, how I use metadata to gather all the photos for the week, using quick collections, editing photos and using presets, cropping photos, using print templates and saving for print. Over the past year, I have done some tweaking to the templates explained in the video above, according to what works best for me. I will be offering my personal print templates as a freebie to speed up that initial setup process for you. I'm looking forward to this series and hope you are too. I hope this will shave off hours of processing time for you too and add a few more hours to your precious day, so you can get to the fun part of memory keeping.